Maurice Radebe is the Executive Vice President of Energy Business for Sasol Limited and the chairman of the South African Petroleum Industry Association. He is accountable for the successful marketing of all the Energy Business’ products as well as managing the gas-to-liquids (GTL) joint ventures in Qatar (ORYX GTL) and Nigeria (EGTL), the gas-to-power (GTP) venture in Mozambique and potential GTL and GTP ventures worldwide. Global Public Affairs and Real Estate Services, South Africa are also part of his portfolio. Maurice was appointed Executive in Residence at Wits Business School in January 2013. He has worked closely with the Director and Head of School to create strong alignment between the school and business, with particular focus on the Energy, Oil and Gas industries. He has hosted 12 successful seminars in conjunction with the school, debating topical issues impacting the Energy industry. He has assisted the business school to develop and launch the Energy Leadership Centre which can bridge the skills gap by providing World-Class executive education, post graduate study and networking opportunities for industry members and thought leaders. Specialist leadership courses, highlighting issues in the Energy industry are being developed and presented to participants. These courses will lead to the development of a Masters of Leadership in Energy and ultimately, a PhD course. Maurice has also launched a mentorship programme under the banner of Unleashing Leadership Potential. Monthly meetings are held with around 150 young people. Maurice invites well known and successful business leaders to present at the monthly sessions and provide insights gained through their leadership journey. Maurice joined Sasol Oil (now part of the Energy Business) in January 2004 when Sasol Oil purchased Exel Petroleum, where he was Managing Director. He was appointed as Managing Director, Fuels Marketing at Sasol Oil, responsible for all liquid fuels products through retail and wholesale channels. 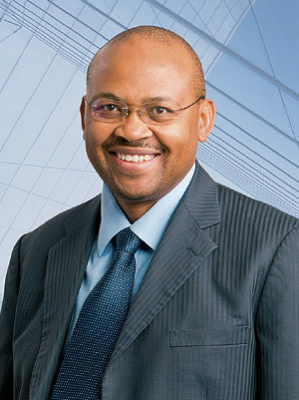 He served as Managing Director of Sasol Oil from December 2006 to October 2010. Prior marketing experience was obtained with Exel Petroleum and Shell South Africa, giving him more than twenty years of operational and strategic senior managerial experience in the oil industry. Maurice studied at Marianhill High School near Durban. He completed a BSc, majoring in applied mathematics and physics. Afterwards, he completed a diploma in education at Wits University, where he also received his MBA. He also attended the General Management Programme at Harvard Business School, Boston in the United States in 2007.He is a Fellow of the inaugural class of the Africa Leadership Initiative-South Africa and a member of the Aspen Global Leadership Network.